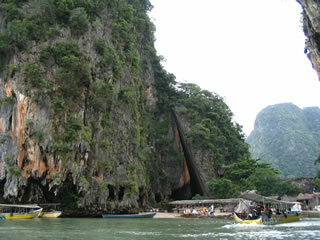 Phuket, Thailand is a vacation and resort island in south-western Thailand. The island has a population of 400,000+ people and swells each year in the high-season as tourists from around the world flock to the world-class beaches and entertainment of Phuket, Thailand: The Jewel of the Andaman Sea. 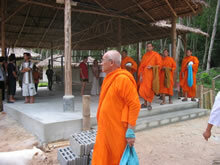 Thailand is a Buddhist Culture. Here a mother and daughter light incense at a temple. You will see and hear the traditions and respect the Thai people have for their religion and philosophy on life which is must different than that of western cultures. Respect the Thai people and their beliefs as you visit their wonderful country. Nai Harn Beach, Thailand is a popular and beautiful beach. 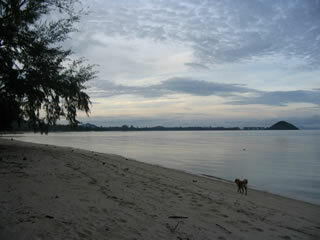 Tiger Muay Thai and MMA Training Camp Guests run and train on the beach 1-2 times per week. We have even had some guests visit us while their boat was anchored in Nai Harn Bay. Paul Allen of Microsoft fame and sports ownership has even parked his big yacht here on occasion while visting Phuket. When visiting Patong for a night out on the town, don’t forget to Check out the Tiger Disco or the Rock Hard A-Go-Go on Bangla Rd. For those training camp guests that like a relaxing pool, we have 2 Local spa that offer our guests discount services including sauna, steam, jacuzzi, massage, and swimming pool. Buddhist Monks bless Tiger Muay Thai & MMA Training Camp, Phuket, Thailand. A special meal is prepared for the 9 monks to eat before they bless our Muay Thai training camp, Phuket, Thailand. The senior Buddhist Monk inspects our muay thai boxing gym and places special written prayers in each building to give our training camp and our guests good fortune and tidings. 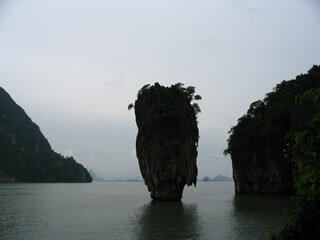 Thailand has many natural wonders and attractions. 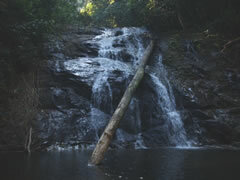 This the Chong Fa Waterfall in Kao lak, Thailand. Tours available. Cobra and Venomous snake shows are just 1km from the camp. See cobras milked of venom. 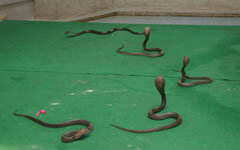 King Cobras and other snakes. Great show. Private speed boat tours are available to guests at Tiger Muay Thai and MMA Training Camp, Phuket, Thailand. 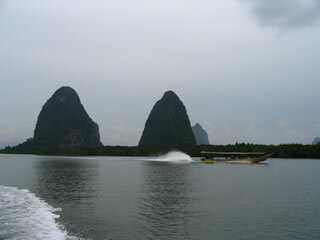 Guests travel together on a large speedboat to private islands with sandy beaches. 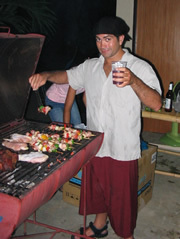 Muay Thai training and BBQ on the island. 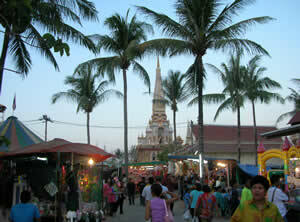 The Wat Chalong fair, held every year in late January is loads of fun. Taste of Thailand, Muay Thai fights, Thai dancing, games, food. Don’t miss it. The Wat Chalong Festival offers a taste of Thailand with different types of food from all the different provinces of Thailand. Amateur photographer will love all the great Photo locations: Muay Thai fights, Lookouts over oceans and mountains, Buddha statues, temples, tours, boating, beaches, Thai dancing, dinner shows. 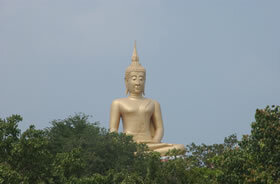 We Love Phuket…beauty, grace and culture. Some guests take out the Sea kayaks after stopping on an island with a sandy beach and lagoon. Training camp guests can snorkel, swim, train muay thai, or just relax in the sun. 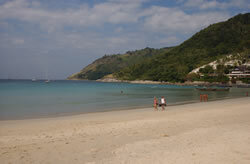 Nai Harn is one of the nicest beaches in all of Thailand and the Andaman area. Boats will seek anchor in the lagoon and bay and an offshore island protects the 1km long beach with white sands and crystal blue water. 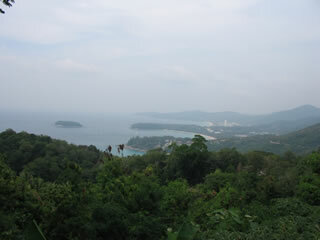 The eastern end of Nai Harn and the rocky climb towards to windmills that overlook the beach and Andaman sea. 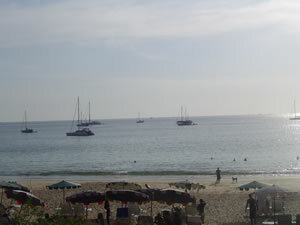 Nai Harn beach is quiet and relaxed. On Saturdays, TMT will often take guests for a beach workout and morning fun run @ the beach. 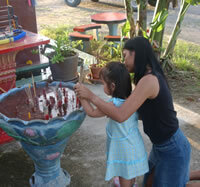 Lighting candles and making prayer and merit is an important part of Buddhist society. Here a young girl is taught by her mother at the Wat Chalong Temple in Phuket, Thailand. 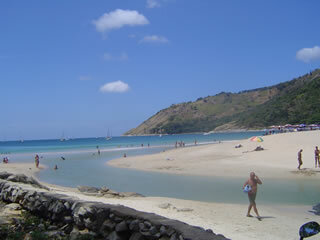 Nai Harn Beach is about 1 km long and stretches along a line of fur trees that line the beach. 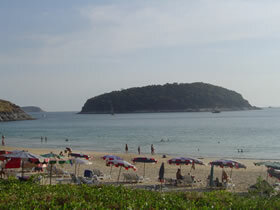 The Nai Harn (Meridien) Yacht Club is the only hotel on the beach nestled against the rising cliffs. 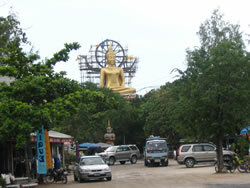 Thai massage and small seafood restaurants are located behind a small park area for tourists. 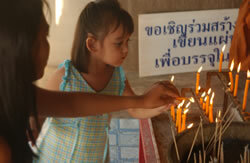 A temple in South Thailand is about to celebrate the Thai New Year with a celebration. 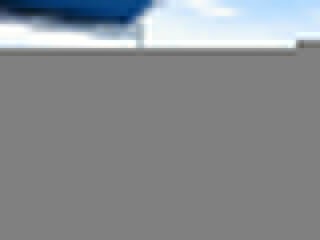 There will be Thai dancing, Muay Thai fights, food, fun, and excirement. The water warrioress protects the Big Buddha statue in Ko samui, Thailand. There are waterfalls located all over Thailand. 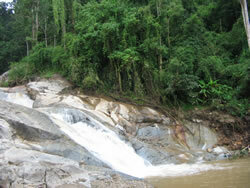 Phuket, Kao lak, and Phang-Nga have many beautiful waterfalls available for tourists to visit. Sunsets are a wonderful time in Thailand. Many Thai people head to the beach as the sun begins to set. 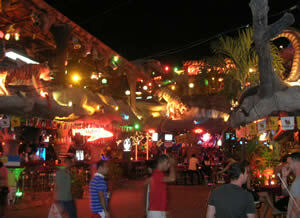 But in Phuket, when the sun goes down, people are ready to party. The Buddha monumant on Big Buddha beach rises above the island of Ko Samui in Southern Thailand The beaches of Southern Thailand and Phuket are some of the nicest in the world. Crystal blue water and coconut lined shores. 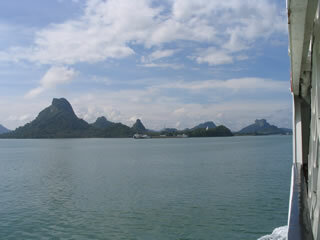 View of Ko Samui, Thailand from the transport ferry. 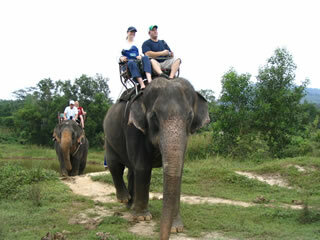 Phuket and Southern Thailand have beutiful tropical forests and mountains that can be explored by riding elephants. 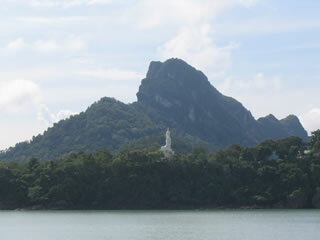 Southern Thailand and the surrounding area of Phuket have many wonderful islands and geographic features that are unique to this area of the world. Many of Tiger Muay Thai and MMA Training Camp guests go on tours and excursions together. 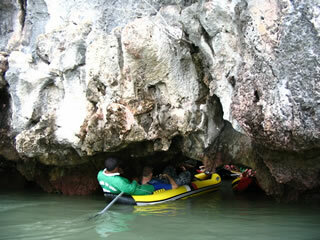 Here, guests explore rivers, caves, and waterfalls for 2 days in Krabi, Thailand near Phuket. Some river caves are accessed at low tide. On the other side of this long cave that runs through the mountain is a lagoon and hike up to a waterfall. 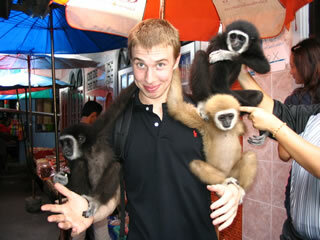 A training camp guest hangs out with some local wildlife while on a weekend adventure excursion to Phang Nga, Thailand. Getting around Phuket, Thailand is a lot cheaper when you share the fare with other guests. Here a group heads out to have some fun @ Muay Thai fights in Patong, Thailand. Phuket, and neighboring province, Phang Nga have beautiful styles of islands and white sand beaches accessable only by private boats. 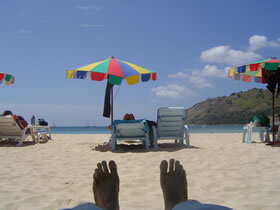 Everyone should have a day to relax @ Nai Harn Beach. Lay back and enjoy a massage, crack open an cold coconut, and take a swim in the ice blue waters of the Andaman Sea. At Tiger Muay Thai training camp, we throw parties and BBQ’s on the beach every month. Guests and friends of the gym come and feast and party on one the finest beaches in the world. Making friends from around the world is one of the benefits of staying and training for several months. 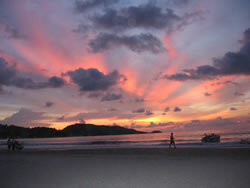 Trainers will often go with you as guides to help you see and understand Phuket. 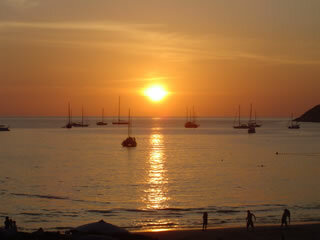 Sunset @ Nai Harn Beach on February 27, 2006. Beach Seafood BBQ and clam bake courtesy of Getch @ Tiger Muay Thai. 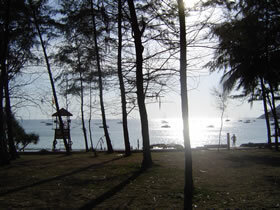 The picnic and BBQ area @ Nai Harn Beach has wonderful Fir shade trees that tower over the beach. Great place to sit, have a drink, and watch the sun go down. The tidal water flows into the lagoon @ the edge of Nai Harn Beach, Phuket, Thailand. 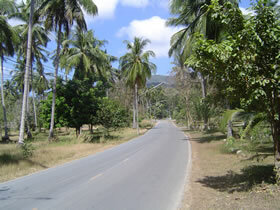 The quiet road in front of the training camp is a great road to run and warm-up before muay thai training. Nai Harn Beach, Phuket, Thailand is one of the nicest beaches on the island. 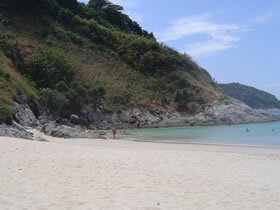 Protected by a small offshore coconut palm ccovered island, Nai Harn has gentle waves and great for swimming. 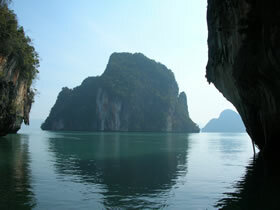 TMT Phuket guests enjoy a day out on the ocean exploring the many islands that surround Phuket in the Andaman Sea. Boat trips will take you to secluded beaches, national parks, and lagoons with clear blue water for swimming and diving. The lookout from the mountains above Kata and Karon, Thailand is quite beautiful and a great spot for photography. The entire south-western side of the island can be seen from the lookout point. 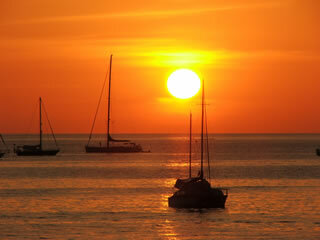 The sunsets on Phuket Island are amazing. Nai Harn, Kata, Karon, and Surin beaches offer some of the best sunset photography spots on the entire island. This website and all the content is owned and operated by Tiger Muay Thai Phuket Co, Ltd. if not stated otherwise. 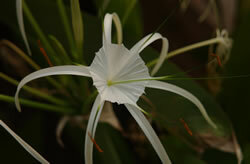 No pictures or content may be copied from this website without express permission of the owner.